More bad news for Ford, Honda’s sedans struggle, good news for Elon Musk’s profits and so much more in The Morning Shift for Wednesday, Oct. 3, 2018. This has not been a great year for Ford. Investors continually find its prospects shaky, its new CEO is under a ton of pressure to change that, its plans for electro-autonomy are vague at best, and its plan to kill cars and sedans (save for the Mustang) to focus on trucks and SUVs hasn’t been received well. Powered by its Jeep and Ram brands, FCA posted a 15-percent increase in U.S. sales last month with 199,819 deliveries, eking past Ford’s 197,404 deliveries in September. FCA has beaten Ford in retail sales five out of nine months this year. Mark LaNeve, Ford’s head of U.S. marketing, sales and service, summed up the month as a tale of two hurricanes. In the Houston market, which was hit by Harvey in late August 2017, he said Ford’s sales dropped 44 percent, or about 8,000 vehicles, last month from September 2017. Nationwide, sales were down in all vehicle categories in September, led by a 26 percent decline for cars. Sales of pickups and vans fell 10 percent, while utility vehicles dipped 2.7 percent. Ford Motor’s retail sales dropped 13 percent, while fleet sales fell 6.7 percent, mostly due to planned reduction on rental deliveries and timing of government orders, LaNeve said. U.S. sales of the F-series pickup dropped 8.8 percent to 75,092, ending a string of 16 months of consecutive year-over-year gains. Average transaction prices for the F series, however, were at record levels of $46,600, up $1,000 from a year ago. If a “wake-up call” is to be had, one has to wonder what Ford is to do here. Even if Ford’s “kill all small cars” plan hasn’t been well-received, the data backs it up—at least in the short term. Over at Honda, growth is also being driven by crossovers and SUVs. The Accord’s sales slide continued with a 15 percent decline, while the Civic saw a 30 percent drop as the refreshed 2019 model gets ready to go on sale Oct. 10. The decrease in Civic sales is largely related to supply, a spokeswoman said. Tesla may be struggling with the deliveries of the Model 3 sedan (and the antics of its CEO) but the new EV is selling extremely well. And it’s creating an optimistic investor atmosphere around Tesla, one that seems to anticipate profits and positive cash flow for the quarter. Just days after federal authorities castigated Musk for his tweets about taking Tesla private, the company announced that it had hit its production target for its crucial Model 3 sedan, making more than 53,000 last quarter. The news was greeted cautiously on Wall Street, perhaps given Musk’s record of late. But the overarching message from Tesla’s results is that it may finally be starting to live up to the chief executive officer’s lofty ambition to do something unprecedented: make money manufacturing and delivering electric cars at scale. Tesla’s challenges — including logistics snafus, China tariffs and an impending onslaught of new electric vehicles from competitors — remain formidable. But for one day, at least, the attention was on Tesla and its progress rather than its larger-than-life CEO. “We think deliveries are good enough to support strong financial results,” Ben Kallo, an analyst at Robert W. Baird & Co., wrote Tuesday, adding that Tesla may earn the net income and positive cash flow it forecast for the quarter. He has the equivalent of a buy rating on the shares. Shares in luxury automaker Aston Martin (AML.L) fell as much as 6.5 percent on their market debut in London on Wednesday as investors and analysts raised concerns over its ability to deliver an ambitious roll-out of new models. The company, which last year made its first profit since 2010 and has gone bankrupt seven times, had priced its shares at 19 pounds each, giving it a market capitalization of 4.33 billion pounds ($5.63 billion). Turns out being publicly traded isn’t all sunshine and roses. Also, seven bankruptcies! That’s actually impressive when you think about it. The warning shot was leveled in a federal court filing Monday involving a lingering dispute involving restitution owed by former Fiat Chrysler Automobiles NV Vice President Alphons Iacobelli, who was convicted in the multimillion-dollar corruption scandal. The disclosure comes at a crossroads in a prosecution that has led to seven convictions. More people have been linked to the scandal, including the late Fiat Chrysler CEO Sergio Marchionne, UAW President Gary Jones, former General Motors Co. Director Joe Ashton, UAW Vice President Cindy Estrada, former UAW President Dennis Williams and former UAW Vice President Norwood Jewell, none of whom has been charged. “And the investigation and prosecution are far from over,” Assistant U.S. Attorney Erin Shaw wrote in the court filing. Expect a lot of heads to roll before this is over. 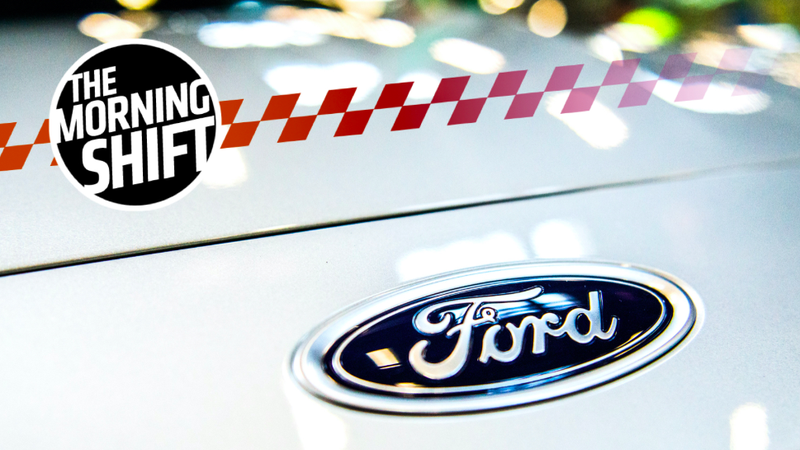 Neutral: How Does Ford Bounce Back? Is this just a perception issue, or are there clearer things Ford needs to do to succeed with investors—and buyers?